Our Hampstead Large frame is a big frame! 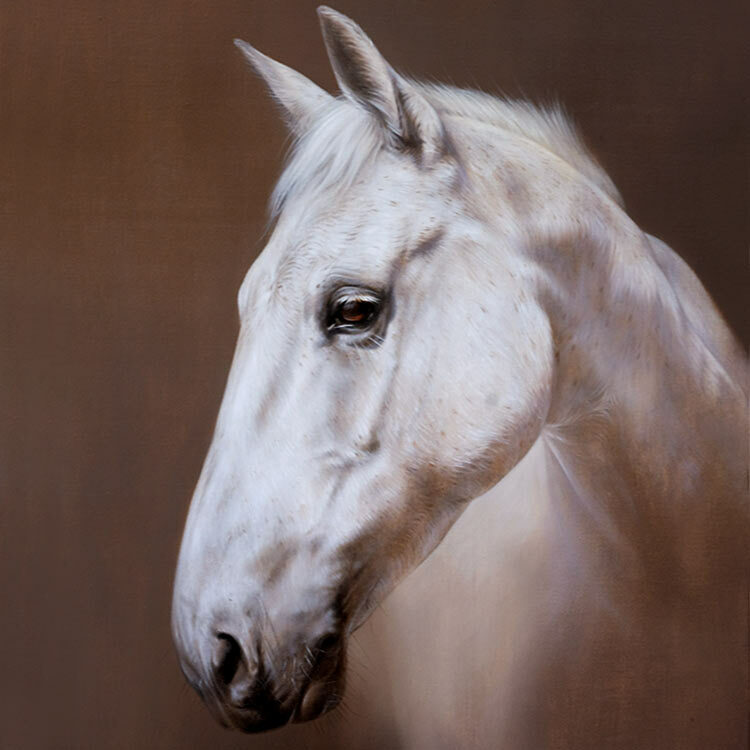 Its not so much wide as its only 3 inches, however its design curves high up on the outer edge, allowing your eye to be drawn into the oil painting. Its pretty stunning and definitely has the wow factor! When you look from the front however, it gives the illusion of being much flatter which is pretty incredible and a little mind blowing. As you can see below, some of the photos I have taken flat on looking down on the frame you wouldn't know that has a 2.5 inch depth on the outer side. Its amazing and we love it. 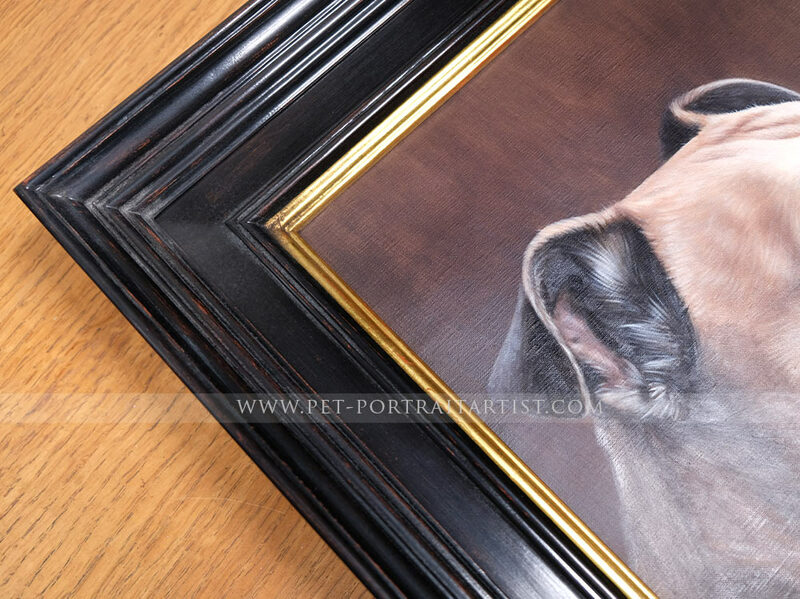 The Hampstead Large frame works so well with our paintings and we would recommend this to be match with a larger sized oil portraits, from around 20 x 16 and above to really get the full effect. 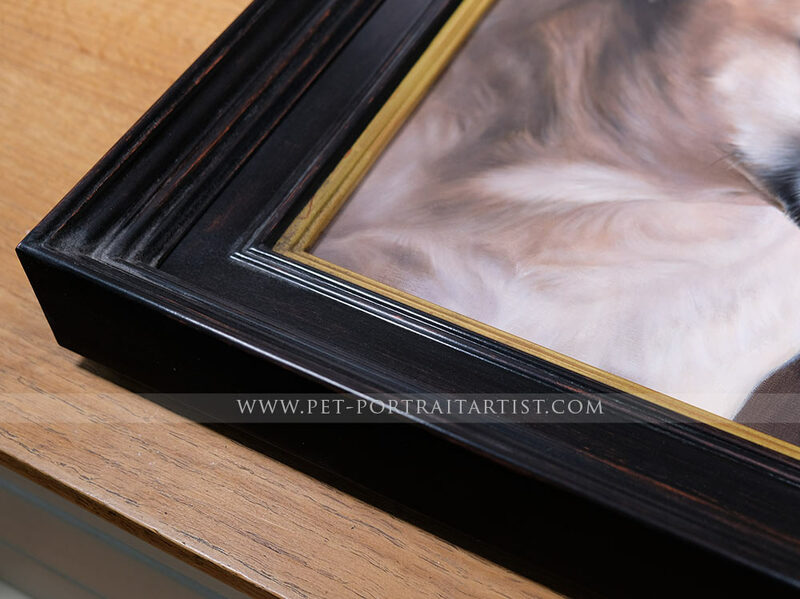 The colour is very similar to our Hampstead frame, a lovely dark colour with a small amount of distressing near to inner edge. 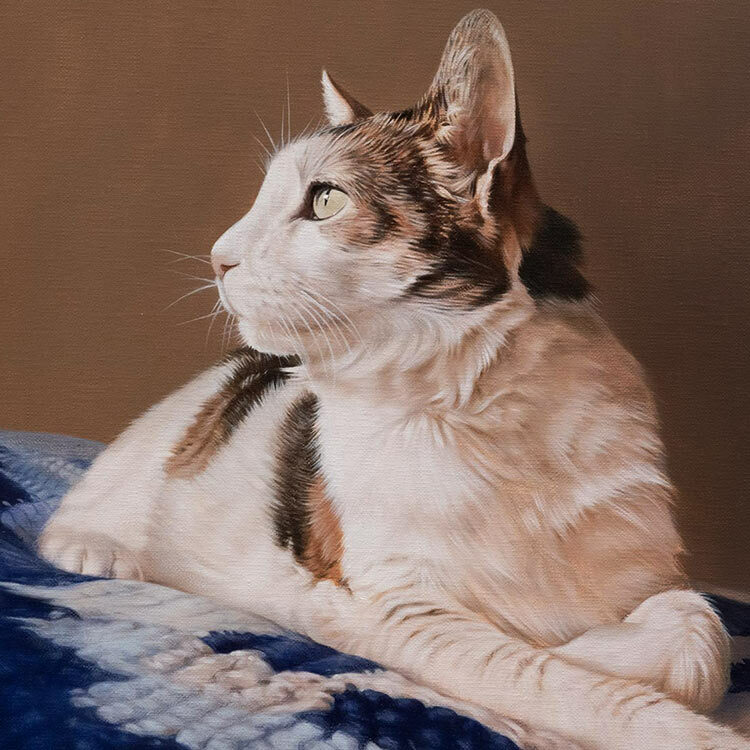 The inner gold line is beautiful and edges our paintings superbly. 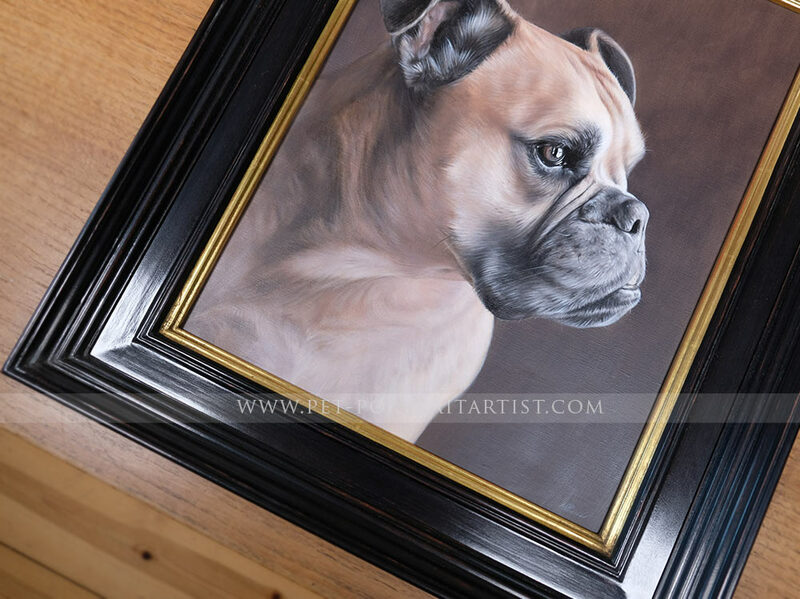 If you would like us to obtain a quote for you from our framers we are more than happy to do this for you. Our framers hand craft each frame bespoke for our clients and you can drop us a line at any time if you are interested. If you are looking for something similar, we can chat about your ideas. 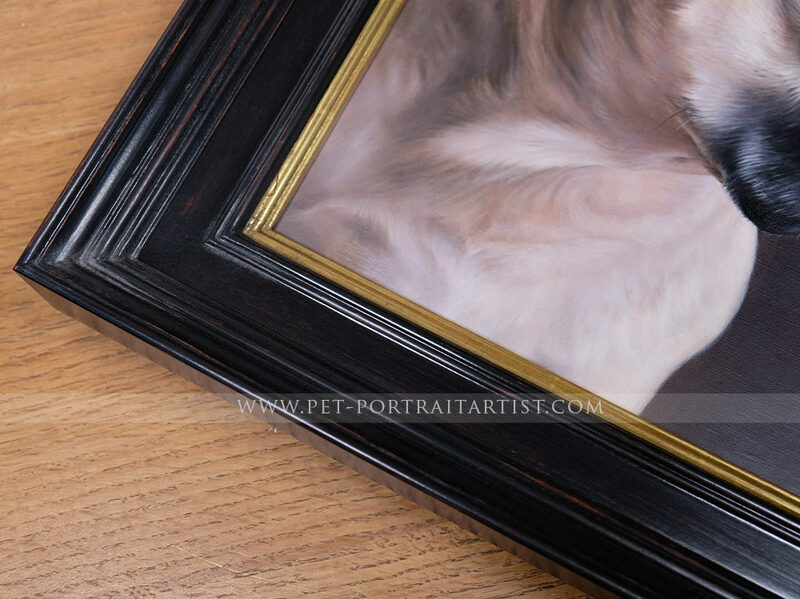 Our Hampstead Frame is beautiful and is suitable for both oils and pencil pet portraits.